"Farming is in my blood." "This is what I was called to do." "My roots are in farming." "I grew up with it." 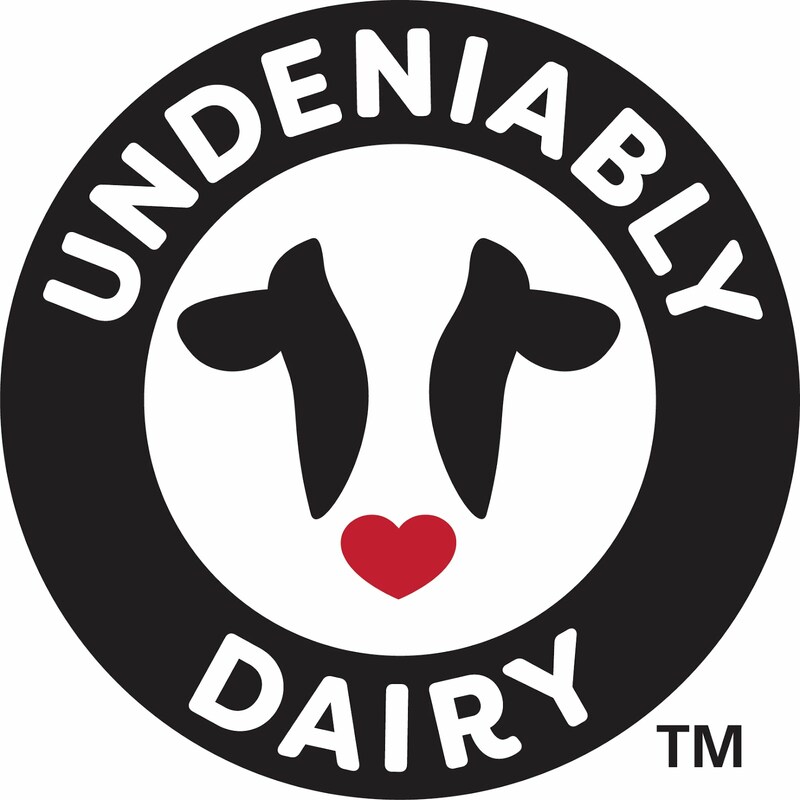 For me, dairy farming is what gives me my greatest sense of purpose. 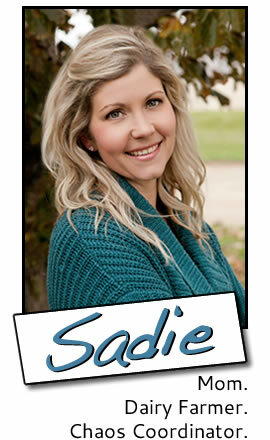 In the jobs I held before we started farming, I always felt unfulfilled...like something was missing in my life. But, I'll admit, it took me a long time to understand what prompted those feelings. To understand that my place in this world is on a farm, that I am happiest when I'm with the cows. 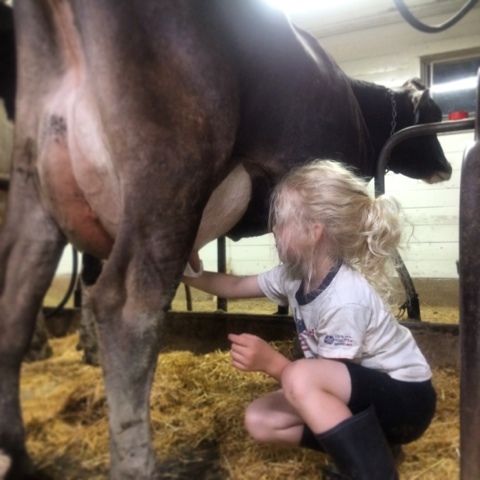 Looking back at my childhood, I know that I became a dairy farmer long ago. The connection to cattle became part of who I am during the hours spent milking cows and feeding calves with my family. 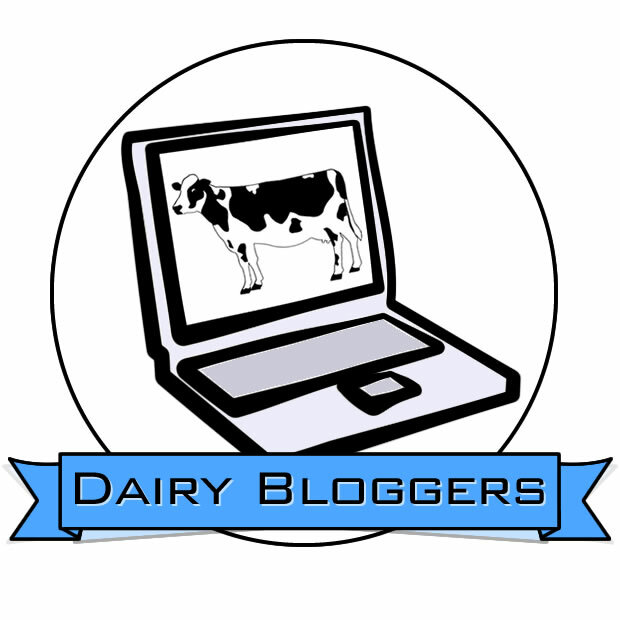 This past winter, I watched Monika become a dairy farmer. 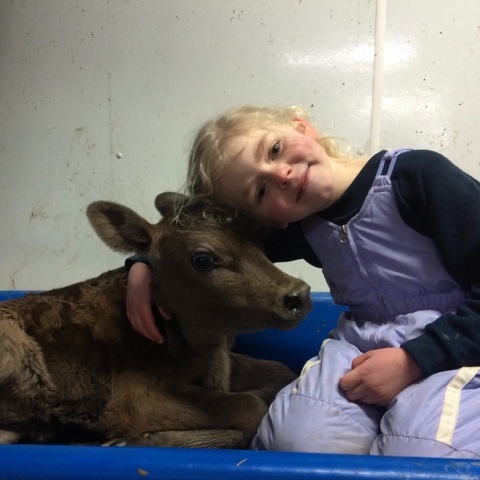 She may not choose dairy farming for her future, but she has developed a connection to cattle that will always be a part of her. 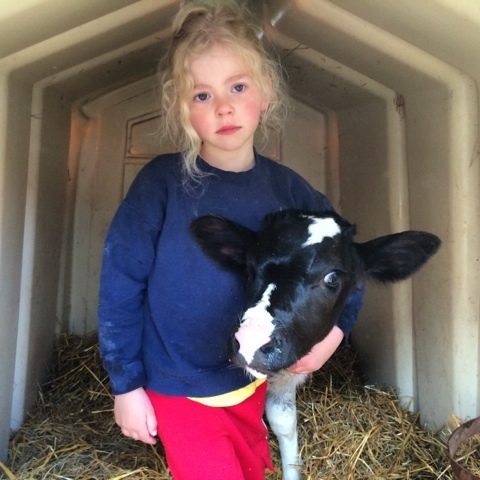 Every time a calf is born, she excitedly asks, "Is it a girl or a boy?" She knows we will keep the girls and sell the boys. Ninety-nine percent of the time, Monika is beaming with happiness when she's in the barn. But in the picture below, she's mad. When Misty had her calf, Monika wanted the calf to be a girl in the worst way, because she thought it was cute. But Misty's calf was a boy. We argued about the calf's gender. She kept insisting it should be a girl. I'm sure she understands that gender can't be changed. I think she just kept arguing to exercise her stubbornness. 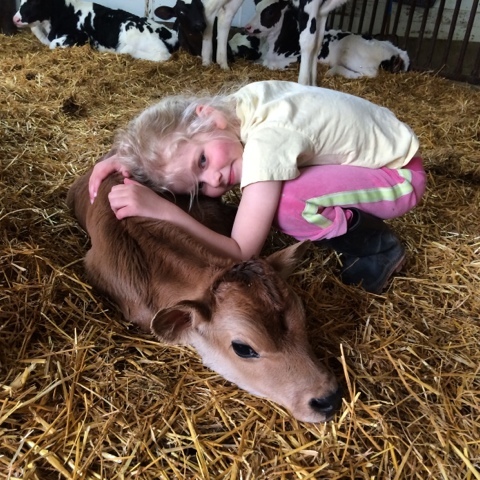 Monika's love for the cows and calves has turned into a desire to help care for them. 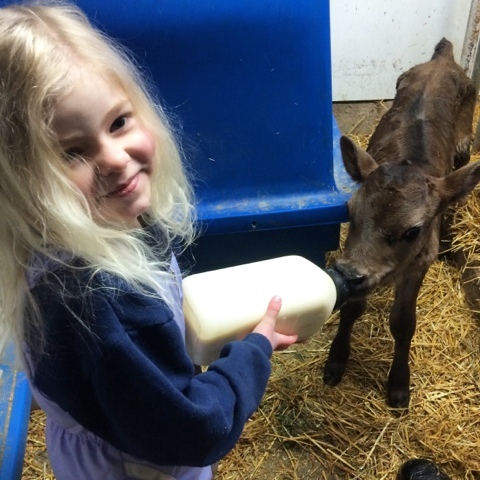 She always asks to help feed the calves. 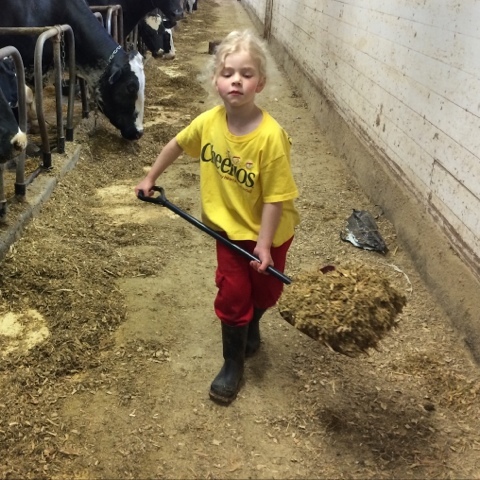 And takes it upon her self to move feed around for the cows when they're fed inside the barn. Monika is willing to help with anything in the barn, but I think her favorite job – at least right now – is milking cows. Star, Sandy and Garnet are known as Monika's cows and if Monika is in the barn, she gets to milk them. 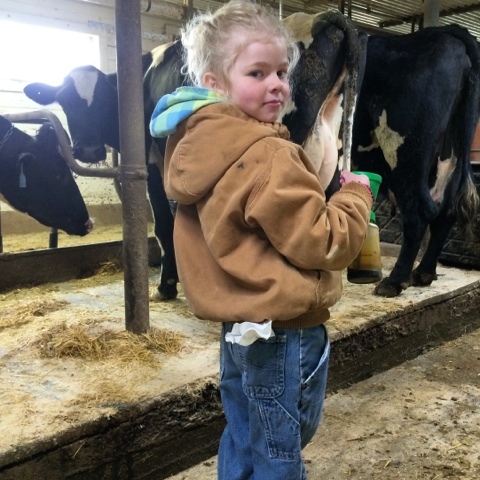 Monika was so excited this spring when she could go to the barn without her snowpants on because it meant she would have pockets to keep her paper towels in and hang her dippers on, just like her dad keeps his towels in his back pocket and hangs his dippers on the side of his front pocket. That was the same day she told Glen, "Dad! Don't let Star out. I didn't get to snuggle with her yet." 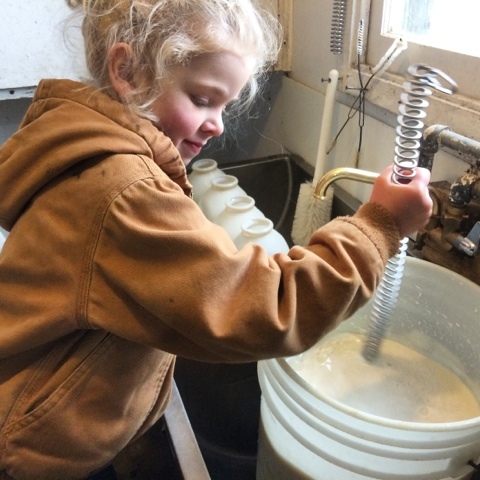 She recently declared that she can milk her cows by herself – and that I don't need to stand next to her. Monika's connection to cows brings great joy to both my heart and Glen's. And I am forever thankful that we can give her these opportunities to cultivate that connection. 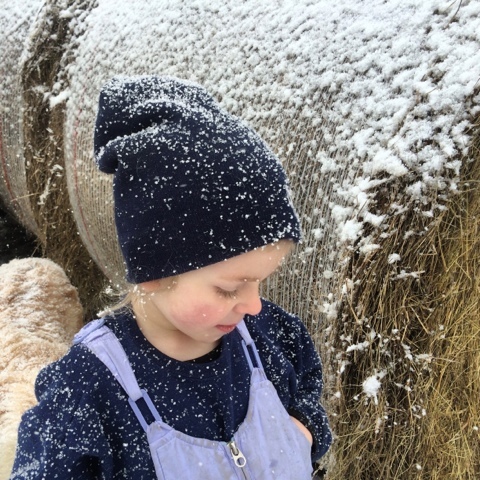 Wherever her life takes her, I hope she will hold these memories of becoming a farmer dear to her own heart. So sweet! 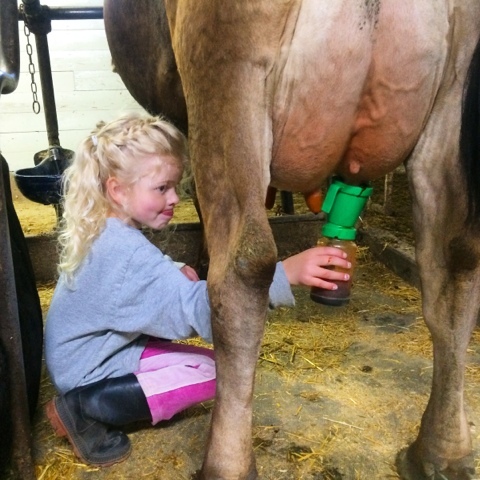 Reminds me of my days growing up on a dairy farm.